The time has come for a new, yet ancient look at leadership. Great engagement is the key to truly successful leadership, and the secret to moving forward is knowing when to step back… It is no longer about being the hero, the one that has to make everything happen. There is another way: be the host. This book reveals why Host Leadership is set to become one of the most pioneering concepts in 21st century management. 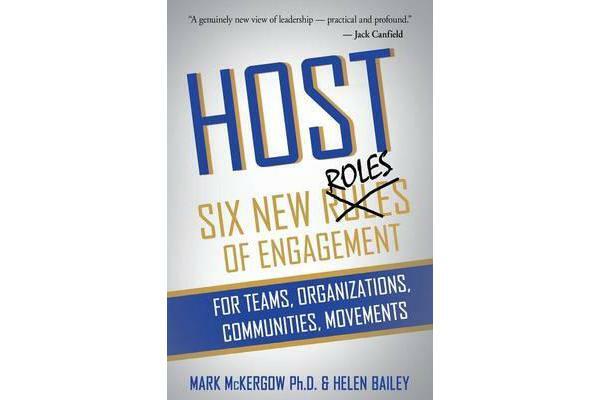 – Learn how to step into and out of the six NEW roles of engagement – Adopt the four positions for a Host Leader – Understand how to apply hosting strategies in your organization to achieve greater agility, flexibility and responsiveness – Become a leader with a highly tuned sense of relationship building and engagement. The traditional ‘stand and deliver’ approach to leadership falls down when it comes to engagement. Understanding how to really engage with people is the ultimate backbone of success. Intrinsically, we all know how to be hosts; now is the time to sharpen these skills and bring them to the table.